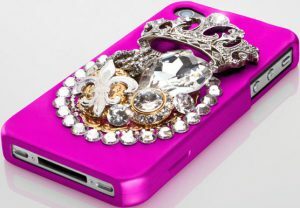 She loves her iPhone and now she’ll love this Swarovski embellished case that protects it. HubInnovations.com, 89.95. Put up a ‘Do Not Disturb’ sign– this set was made for bedroom eyes only. Odile de Changy by Antoinette Paris, Bra for $270, Brief for $200, AntoinetteParis.com. Forget the classic pearls and diamonds, and opt for this chain bib Kara Ross necklace instead. KaraRossNY.com, $395. Maybe she can’t get away this Sunday, but how about another weekend. 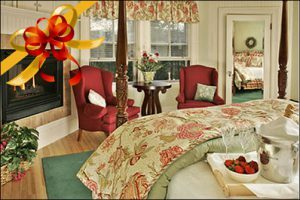 The possibilities are endless with the BnBFinder Travel Gift Certificate. She can enjoy spa treatments, food & wine tours, and so on, when she wants. BnBFinder.com or TravelGiftCertificate.com, You choose the amount. Simplistic and spiritual, Water Calligraphy by Kilian will ease her senses and give her a piece of mind. Sold at Sak Fifth Avenue, $225. It’s time to upgrade and get a timelapse camera. She’ll enjoy watching things changing over time, whether it’s seeing her garden grow or taking photos at a party. 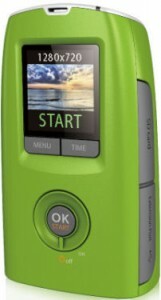 Phase 3 Systems, Brinno TLC200 camera, NatureHost.com, $199.99. 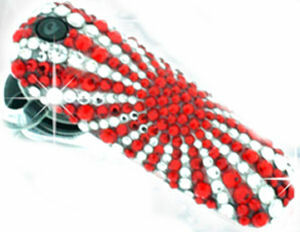 Bling out her ear with a crystal decorated bluetooth. Earloomz.com, $199.99. Warm weather means it’s time to bring out the sandals. She’ll feel like a fashion designer when you give her “The Mother’s Day Collection” from Sseko. Each package comes with a pair of handmade sandal soles and three pairs of strap that she can tie herself. SsekoDesigns.com, $65. Indulge her with an at-home body and bath treat that includes a super-whipped Souffle Body Crème, exfoliating Scrub, and soothing Honey Bath. Laura Mercier Fresh Fig Petit Patisserie Trio Set, BlueMercury.com, $45. Give new moms a peace of mind and a watchful eye with the iZON Remote Room Monitor from Stem Innovation. Sold at Apple stores and Best Buy, $129.95. My mom is very giving and charitble. I’m sure she’ll be happy to receive those sandals when she finds out that she’s helping other moms overseas. Thx 4 the idea!